What is the relationship between attention-deficit hyperactivity disorder (ADHD) and sleep? Children who have sleep disorders and attention-deficit hyperactivity disorder (ADHD) may have similar symptoms, such as inattentiveness, overactivity, and restlessness. The interplay between these two disorders of ADHD and sleep disorders is significant and one may be misdiagnosed as the other because of the overlap of symptoms. There are many sleep disorders that may affect children. Most of the disorders found in adults can also occur in children, including insomnia, bruxism, periodic limb movement syndrome, somniloquy, obstructive sleep apnea, somnambulism and circadian rhythm disorders. Children more commonly experience night terrors than adults do, however. Children who have ADHD may be expected to have disrupted sleep. There is a behavioral component to sleep, and parenting difficulties often will extend to bedtime in kids with ADHD. In addition, there may be psychiatric symptoms, such as anxiety or depression, that can disrupt sleep. Studies have consistently shown higher rates of sleep disorders among children with ADHD. More than 25% of all children, not just those with ADHD, will have a sleep disorder at some point. These have enormous and varying impacts on family dynamics, school success and other health issues. Children with ADHD will more commonly complain of symptoms consistent with periodic limb movement syndrome (PLMS), or as it is sometimes called, restless legs syndrome (RLS). These symptoms include uncomfortable sensations, such as bugs crawling on the skin, which are relieved by movement. This phenomenon is worse in the evening or at night while at rest and involves an irresistible urge to move. Studies have shown that 24% to 26% of people with ADHD have RLS, compared to just 5% of controls. The number of disruptive movements at night are strongly associated with the degree of hyperactivity during the day. Again, children with these sleep difficulties are not usually excessively sleepy. Rather, they will have bedwetting, sweating, developmental delay and learning or behavior difficulties. Habitual snoring occurs in up to 1/3 of children with ADHD compared to only 10% of controls. The relationship between the number of breathing disruptions and drops in oxygen levels in the blood and hyperactivity has not been established; however, one study suggests that 81% of habitually snoring children who have ADHD could have their ADHD eliminated if the snoring were effectively treated. Are Sleep Disorders More Common in ADHD? The use of prescription drugs, such as Ritalin (methylphenidate), to treat ADHD may add another level of complexity to the issue. 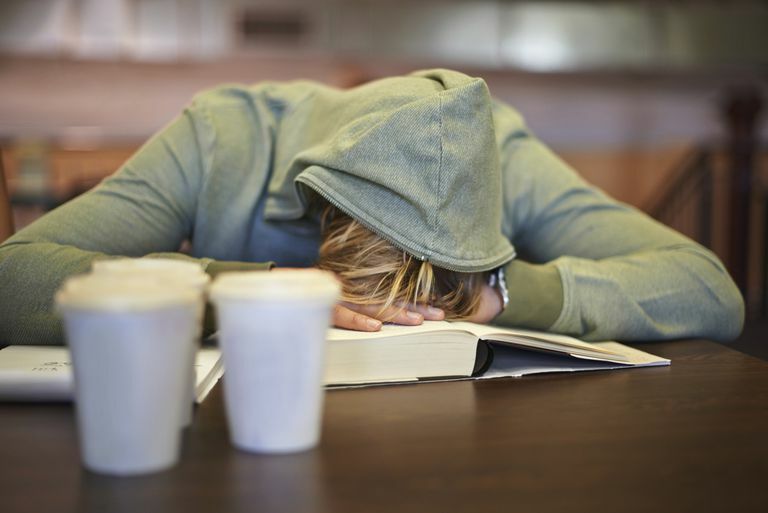 Stimulants are often used to treat ADHD, as well as narcolepsy and chronic fatigue syndrome. Parents of children treated with stimulants perceive a higher prevalence of sleep problems (29% versus 10%), and this is most commonly insomnia. These effects are especially noted when doses are too close to bedtime. How these medications may affect other aspects of sleep is not well understood. Untreated ADHD leads to significant impairment in interpersonal, vocational and cognitive domains, including intelligence quotient (IQ) scores and achievement test scores that are lower than controls. It is important that children who experience inattention, impulsivity and hyperactivity be evaluated for ADHD and, as appropriate, sleep disorders. American Psychiatric Association. Diagnostic and Statistical Manual of Mental Disorders (Fourth Edition, Text Revision) DSM-IV. 2000. Andreou C, Karapetsas A, Agapitou P, Gourgoulianis K. "Verbal intelligence and sleep disorders in children with ADHD." Perceptual & Motor Skills. 2003;96(3)1283-8. Cabral P. "Attention deficit disorders: are we barking up the wrong tree?" European Journal of Paediatric Neurology. 2006;10(2):66-77. Chervin RD, Dillon JE, Bassetti C, Ganoczy DA, Pituch KJ. "Symptoms of sleep disorders, inattention, and hyperactivity in children." Sleep. 1997;20(12):1185-92. Chervin RD, Archbold KH. "Hyperactivity and polysomnographic findings in children evaluated for sleep-disordered breathing." Sleep. 2001;24(3):313-320. Cohen-Zion M, Ancoli-Israel S. "Sleep in children with attention-deficit hyperactivity disorder (ADHD): a review of naturalistic and stimulant intervention studies." Sleep Medicine Reviews. 2004;8:379-402. Cortese S, Konofal E, Lecendreux M et al. "Restless leg syndrome and attention-deficit/hyperactivity disorder: a review of the literature." Sleep. 2005;28:1007-1013. Garcia, J. and L. Wills. "Sleep disorders in children and teens." Postgraduate Medicine. 2000;107(3):161-178. Gruber R, Sadeh A, Raviv A. "Instability of sleep patterns in children with attention-deficit/hyperactivity disorder." Journal of the American Academy of Child & Adolescent Psychiatry. 2000;39(4):495-501. Picchietti DL, England SJ, Walters AS, Willis K, Verrico T. "Periodic limb movement disorder and restless legs syndrome in children with attention-deficit hyperactivity disorder." Journal of Child Neurology. 1998;13(12):588-94. Ring A, Stein D, Barak Y, Teicher A, Hadjez J, Elizur A, Weizman A. "Sleep disturbances in children with attention-deficit/hyperactivity disorder: a comparative study with healthy siblings." Journal of Learning Disabilities. 1998;31(6):572-8. Stein MA. "Unravelling sleep problems in treated and untreated children with ADHD." J Child Adolesc Psychopharmacol. 2001;9(3):157-68. Thiedke, C.C. "Sleep disorders and sleep problems in childhood." AAFP. 2001;63(2):277-284. "ADHD, Sleep and Sleep Disorders." Children and Adults with Attention-Deficit/Hyperactivity Disorder (CHADD), 2016. Arnold, L.E., Hodgkins, P., et al. "Long-Term Outcomes of ADHD: Academic Achievement and Performance ." Journal of Attention Disorders, January 12, 2015.